Doctors may not realize they need to include caregivers in the conversation while treating patients. Caregivers’ stress and exhaustion can make it hard to understand and fully participate in the treatment plan, so doctors must consider the daily challenges caregivers face. Frequent, transparent conversations between doctors and caregivers are important because patients are more likely to follow through with a doctor’s plan if their caregiver is on the same page. Doctors still have to be careful about the information they share. There’s a risk that communication might shift to the caregiver too early, even if the patient is able to make their own decisions. Make sure the patient grants consent to share information with their caregiver first. 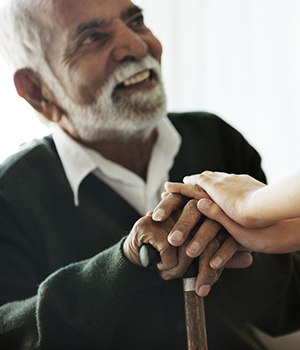 The Program of All-inclusive Care for the Elderly (PACE) allows doctors to work with both participants and caregivers to develop a plan unique to their needs. 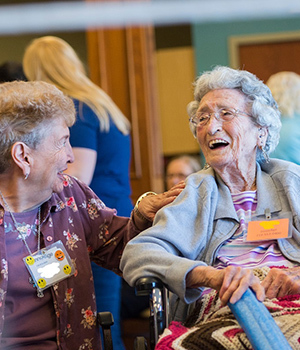 Learn about coordinated healthcare and caregiver respite offered through PACE, and complete our self-assessment to see if you or a loved one may qualify. This blog post was adapted from an article originally published in Medical Economics by Dr. Lisa Price, Board Certified in Internal Medicine and Geriatrics, and chief medical officer at InnovAge.